The laws of the Commonwealth of Pennsylvania empower local governments to regulate the subdivision of land. The authority for this function has been established by the General Assembly under the provisions of Act 247, the Pennsylvania Municipalities Planning Code, as amended by Act 170 of 1988. 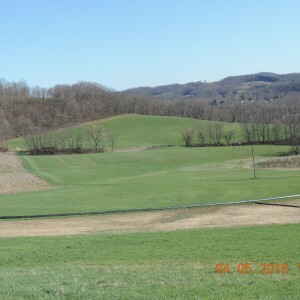 New Sewickley Township Subdivision and Land Development Ordinance has been developed to require basic minimum standards for the development of land, including the subdivision thereof, into separate lots, and establishes rules and regulations, definitions, application procedures and permits by which the standards may be carried out. Prospective applicants shall arrange a pre-application review with the Township Planning Commission to determine the practical and legal feasibility of the proposed project prior to the development of formal preliminary plan preparation. At this review, the applicant/developer or a representative must attend the meeting and submit a sketch plan of what is being proposed. Property is surveyed and must comply with the requirements of the Township’s Subdivision and Land Development Ordinance. (Click on the above link (SALDO) for requirements). Submit your plan from your Engineer or Surveyor to the Township Office thirty (30) days prior to the next schedule Planning Commission Meeting. a. Eight (8) copies of the plan are required. signatures and the fee required by DEP (Make check payable to Pa DEP). c. A review for completeness and initial deficiencies will be identified by the office staff. The Planning Commission will review the plan at their regular meeting. The Township will forward the plan to the Township Engineer for his review and comments. costs that exceeds the escrow amount. Township Engineer, Beaver County Planning Commission and the Sewage Enforcement Officer. Township Board of Supervisors for their approval on the 1st Tuesday of month at 7:30 p.m.